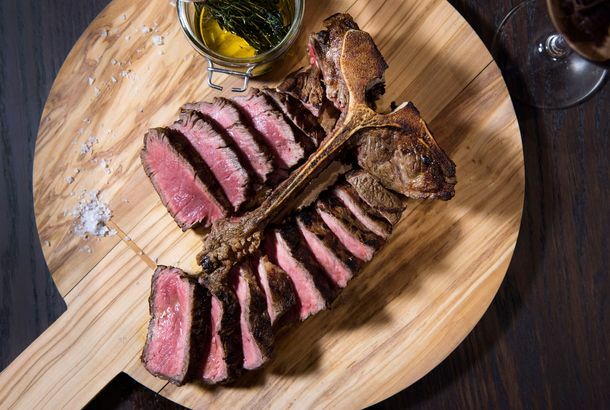 Eataly’s Meat Restaurant Manzo Reopens With a New Look and Lots of SteakAfter a monthlong renovation, the meat-centric restaurant inside NYC’s first Eataly is open again. 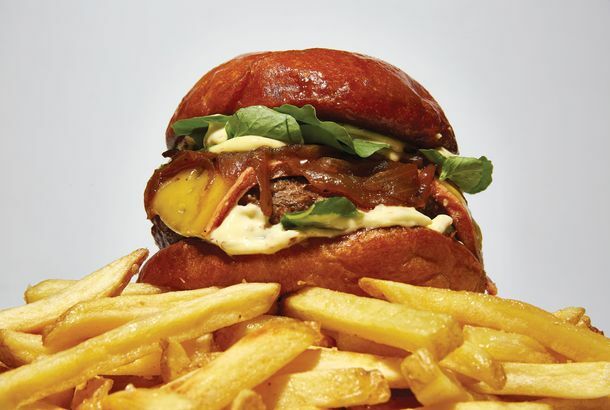 New York’s Latest Must-Have Burger May Actually Be Worthy of the HypeThe no-nonsense, double-patty model at 4 Charles Prime Rib is a welcome addition to the city’s roster of excellent burgers. What to Eat at A&E Supply Co., Opening Tonight for DinnerExpect burgers, a “steak o’ the day,” and chicken nugget gnocchi. 54 Delicious, Comforting Things We All Deserve to EatWith a few stiff drinks thrown in for good measure. 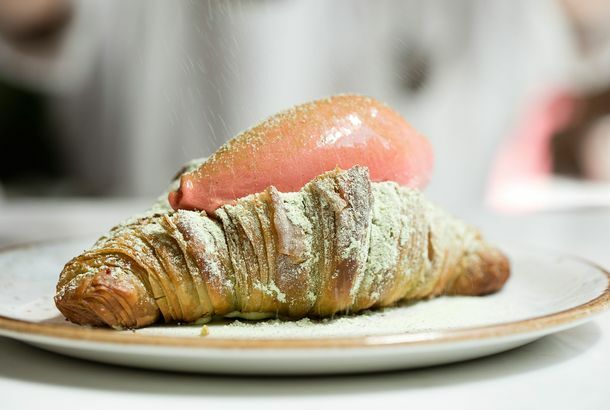 Introducing the Croissant Ice-Cream SandwichHow about a birthday-cake croissant with a scoop of homemade caramel macchiato ice cream? Here’s a First Look at Upland’s Dinner DownstairsJustin Smillie’s dining series launches Tuesday with pasta al forno and slow-cooked lamb shoulder. Sadelle’s Launches Dinner With Caviar, Candlelight, and Spicy FriedHold the bagels, bring on the blini. King Bee Will Introduce New York to the Donair (Think Acadian Gyro)It will debut on the restaurant’s new brunch menu. What to Eat at Nightingale 9’s New Vietnamese Brunch“Hanoi-style” omelettes, a bun cha burger, brunch pho, and more. First Look at Upland’s New BrunchYou should start your day eating spaghettini with a fried egg, roasted pepper, and bread crumbs. Kang Ho Dong Baekjeong’s Impressive SpreadChef Deuki Hong trained under David Chang and Jean-Georges Vongerichten. A Full Look at Mission Cantina’s New Vietnamese BreakfastLamb pho, duck porridge, and broken rice. A Michelin-Starred Chef Is Now Cooking French Comfort Food at the Rebooted HappyHell yes, gratin dauphinois. First Look at Empellon al Pastor, Now Open in the East VillageAlex Stupak has flung open the doors of his much-anticipated bar-tortilleria in the East Village. What to Eat at Birds & Bubbles, Opening September 9There’s a lot more than just fried chicken and Champagne. 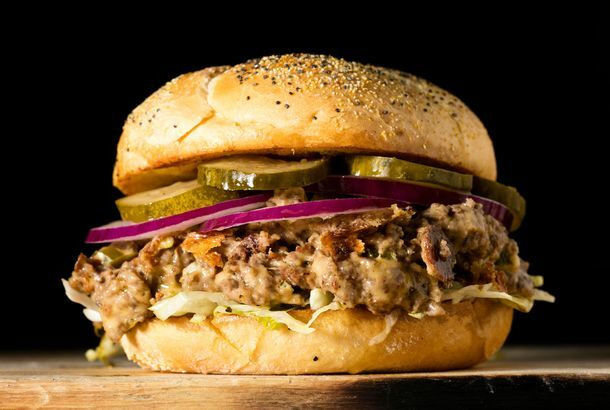 Underground Gourmet: 17 Cool New Things to Eat and Drink Before Labor DayCheck out our picks of some of the best new tastes of the season — eaten indoors, or out. Sara Jenkins Unleashes Porchetta Banh MiThe first thing you think when you take a bite: What took so long? What to Eat and Drink at La Compagnie des Vins Surnaturels, Opening Tonight inSmall-produced wines by the glass, and duck confit and chimichurri sandwiches, come to the neighborhood. What to Eat at Black Seed, NYC’s Most Ambitious New Bagel ShopNoah Bernamoff and Matt Kliegman’s wood-fired bagel operation opens tomorrow. What to Eat at the Gander, Recette Chef Jesse Schenker’s New Flatiron“Buffalo” sweetbreads, $40 steak for two, and more. What to Eat at Estela’s New Weekend BrunchIncluding a truly excellent egg sandwich. What to Eat at Gato, Bobby Flay’s New Mediterranean RestaurantPizza, paella, and buckwheat pita bread. Bunna Cafe, Opening Tomorrow in Bushwick, Serves Vegan Ethiopian FoodCome here to experience a traditional Ethiopian coffee ceremony. 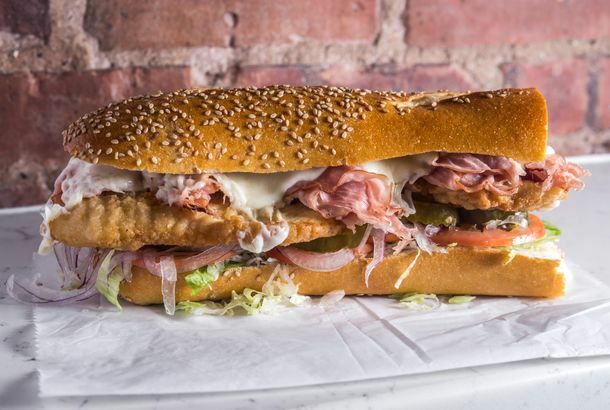 The Underground Gourmet: Otto’s Now Serves an Off-Menu Deep-Fried TacoThey call it the Gorgon. Josh Cohen and Tyler Kord Opening Hanson Brothers at McCarren RinkThe food at the outdoor winter venue combines elements of No. 7 and Jimmy’s Diner. What to Eat at Kingside, Marc Murphy’s Restaurant in the Viceroy HotelThe rib-eye for two costs $95. First Look at Wallflower, a New West Village Cocktail Spot From Daniel andThe 45-seat bar and restaurant opens tonight. First Look at Douglas Rodriguez’s New Menu for AmigosIt’s not every day that a “celebrity chef” comes to Morningside Heights. What to Eat at Bergen Hill, Now Serving Razor Clams and Hamachi Crudo in CarrollCocktails paired with composed crudos, and more, on Court Street. What to Eat at Juni, Shaun Hergatt’s New Restaurant Opening TonightThe fine-dining restaurant is opening in the Hotel Chandler. What to Eat at Corvo Bianco, Bringing Elizabeth Falkner’s Italian CookingIt officially opens on July 15. What to Eat at Distilled, a Momofuku Alum’s Pub-Style Restaurant inApple Pie Soda Float, for the win.